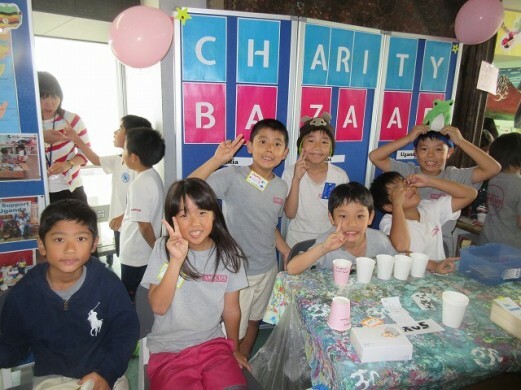 Thank you for coming to support our Grade 3 charity bazaar! 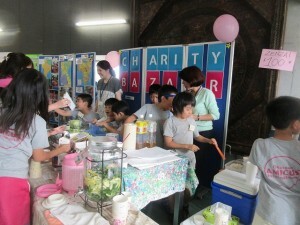 It was a great success with students learning about charitable projects exactly fitting to their grade. 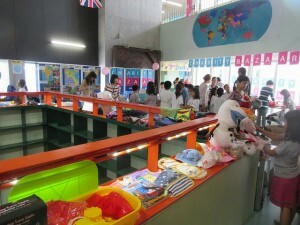 It was a self-developing, involving, comprehensive and complete event that　the students will remember forever. We raised enough money to send 4-5 boxes to Laos, Uganda and India. We hope that the children and families in these countries will enjoy our toys, school supplies and clothes that we send them. 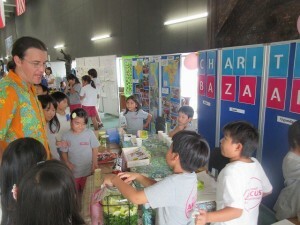 Our kids are happy to talk more with you and tell you all about their　experience as “Glocal” citizens! Working internationally and locally to help others. Thank you from all of grade 3.